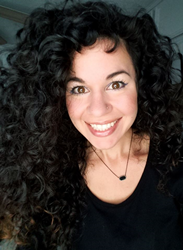 Dr. Leandra Hernández, faculty member in Trident’s College of Health and Human Services, co-edited the book, Military Spouses With Advanced Degrees: Interdisciplinary Approaches to Thriving Amidst Uncertainty. Dr. Hernández also wrote or co-wrote two chapters. Trident University International (Trident) faculty member Dr. Leandra Hernández, along with Dr. Jennifer Belding, served as co-editors on the book volume, Military Spouses With Advanced Degrees: Interdisciplinary Approaches to Thriving Amidst Uncertainty, published through Lexington Press. With contributors from fields including communication, psychology, and law, the authors take an honest look at the benefits and challenges of military spouses who hold advanced degrees. Challenges are examined through academic, professional, and military lenses, focusing on success strategies and the unique struggles faced by these men and women while in school, and in academic and professional settings. Chapters in this book include Military Spouses’ Uncertainty Management: Navigating Academic Goals and Military Needs, Overcoming Obstacles: A Practical Guide to Meaningful Employment as a Military Spouse, and ‘We Get It Done Because We Have To:’ Military Spouses with Advanced Degrees, Career and Educational Experiences, and Grit Amongst Uncertainty. Dr. Hernández is an instructor for the courses Health Communication & Advocacy, Cross-Cultural Health Perspectives, and Cultural Diversity in Health Sciences. Last year was the recipient of the National Communication Association’s (NCA) Feminist and Women’s Studies Division’s 2018 Bonnie Ritter Book Award for the book, Challenging Reproductive Control and Gendered Violence in the Américas: Intersectionality, Power, and Struggles for Rights. Dr. Hernández holds a Ph.D. in Health Communication from Texas A&M University, a Master of Arts in Mass Communication from University of Houston, and a Bachelor of Arts in Mass Communication from University of St. Thomas.